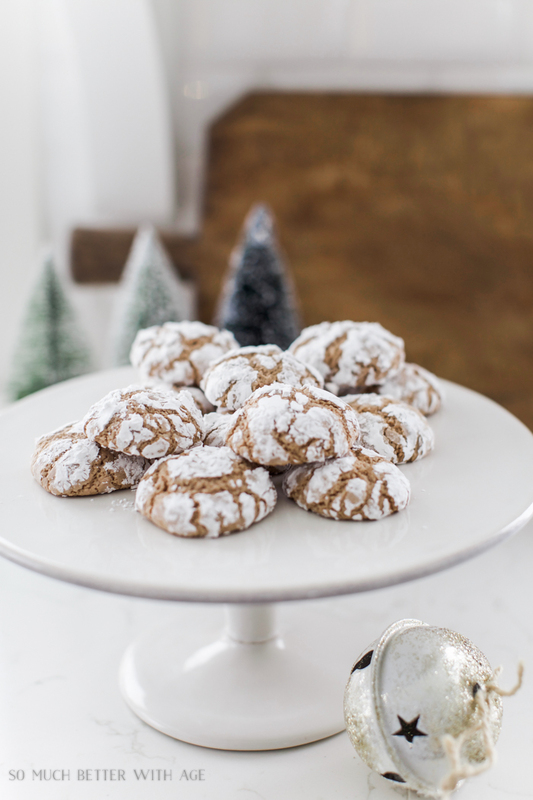 These chocolate crinkle cookies are the perfect cookie for the holiday season. 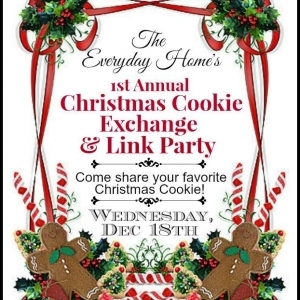 Today I’m joining a Christmas cookies tour hosted by Kristin of Ella Claire along with 15 other bloggers to get you in the holiday spirit. Be sure to visit all the recipes at the end of the tour! 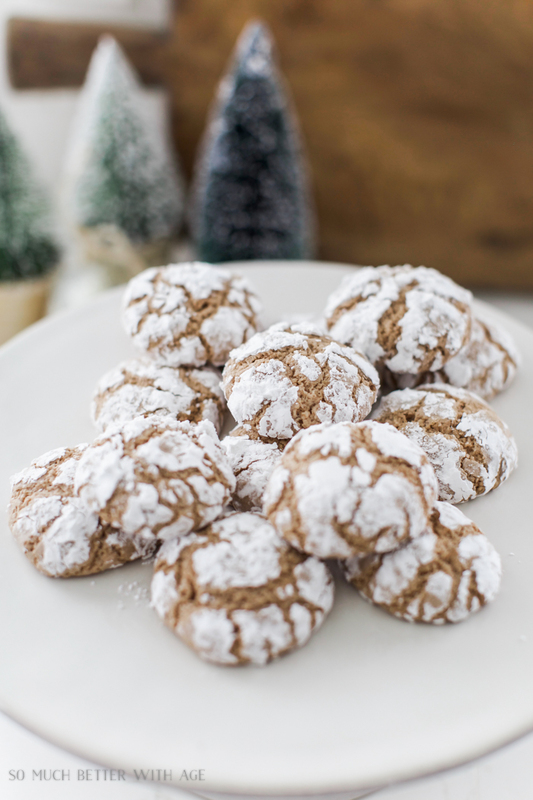 These chocolate crinkle cookies are so easy and delicious. They are soft and just the right amount of chocolate-y-ness. 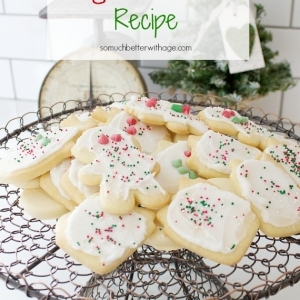 They are rolled in powdered sugar to get that ‘crinkled’ look and it’s the funnest part for the kids to help out with. My daughter and I had such a fun time making these on the weekend. 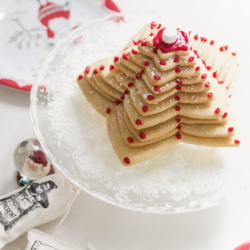 Between the Joyeux Noel printable and these cookies, it’s the first start to the holidays. Once I finish editing the photos for my book this week, I can decorate for Christmas this coming weekend. My daughter loved watching these chocolate morsels bake in the oven as the balls of dough split to make ‘crinkles. 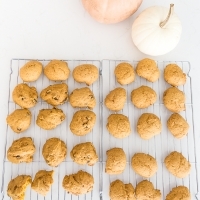 These cookies don't need much butter but lots of eggs. 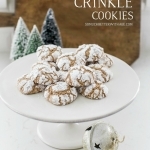 Rolled in icing (confectioner's) sugar, they make 'crinkles' in the cookies when baked. Mix in vanilla and chocolate. Stir flour, baking powder and salt together. 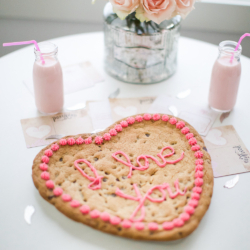 Add and mix well. Shapes into 1 inch balls. Roll balls in icing/powdered sugar. Coat well. Arranged on greased baking sheet. 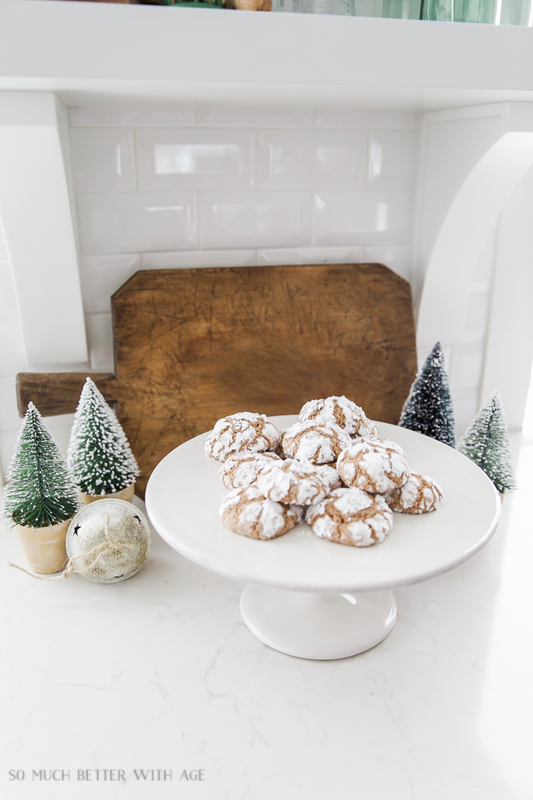 I hope you enjoy baking these chocolate crinkle cookies with your kids or grandkids this season. They are extra fun and extra delicious. 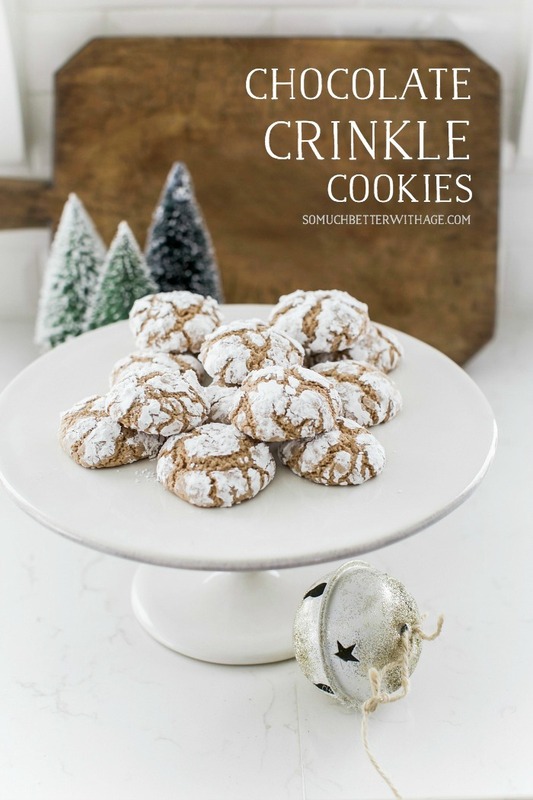 Chocolate Crinkles are one of my favorite cookies (.my daughters too). My mom who is 89, makes them every year along with carrot cake and pumpkin roll. She adds walnuts to the recipe which just adds to the yummymess! I remember the first time I made these they had a pecan half on top. Oooh that sounds delicious Kim!